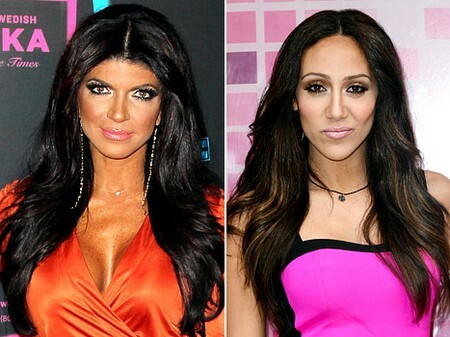 If you tuned into the last episode of The Real Housewives of New Jersey then you saw Teresa Giudice’s young girls mocking their aunt, Melissa Gorga’s singing and she blames their behavior on Teresa. Melissa was performing her new song at a New Jersey festival called Beatstock and she was a nervous wreck beforehand. Teresa, in the name of trying to mend fences, was being supportive of Melissa and couldn’t praise her enough after she left the stage. The problem was, in the car traveling to the event Teresa’s girls were making fun of Melissa and pretending to imitate her singing. After the show aired, Melissa took to her official blog to comment. I have said it before and I’ll say it now, Teresa’s kids are a nightmare and exactly like their mother. The things that come out of their mouths’ in each episode sound like something she would say. Teresa thinks they are amazing little girls. I would be horrified if they were my kids so I totally get Melissa’s reaction. Is Teresa a negative parent? What do you think of Melissa’s parenting style? Tell us your thoughts in the comments below!